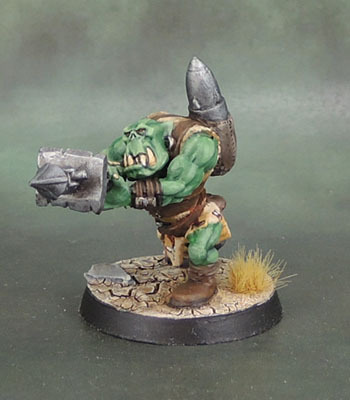 WAAAAGH! 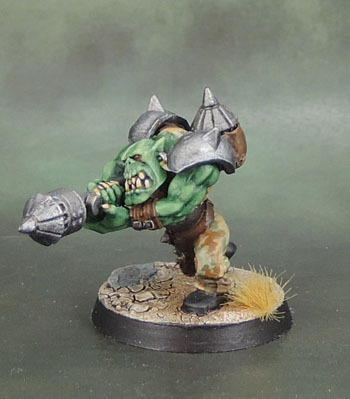 Pt.9: 40k Ork Slugga Boyz’ ‘Eavy Weapons | Azazel's Bitz Box. 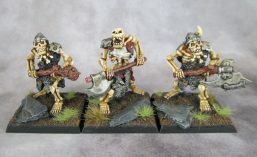 And now my final four Ork boyz – from the initial wave, anyway. The first of these is made mostly with fantasy parts armed with Slugga and Choppa. 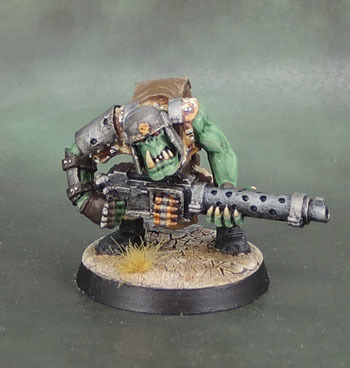 One metal boy with Big Shoota from before plastics were on offer – which is why I converted my others from the plastic boyz. The other two are a pair of Rokkit Launcher boyz that are also kitbashed from plastic Ork parts with “rokkits” made from some Ork epic parts from the bits box. Their rokkit backpacks were made from greenstuff with some more plastic parts for the spare rokkits. The “rokkit arms” were initially made from fantasy spear arms. 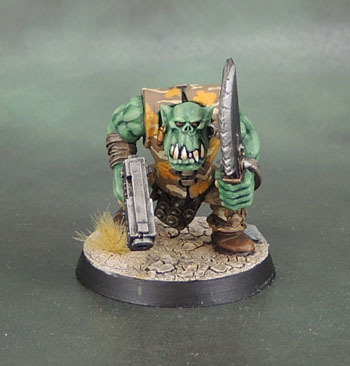 This entry was posted in 40k, 40k Orks and tagged Big Shoota Boyz, Blood Axes, Brian Nelson, Rokkit Launcher Boyz, Slugga Boyz, Space Orks, Warhammer 40000, Warhammer 40k. Bookmark the permalink. I love how much presence these have on 32mm bases. Cracking work. Yeah, they really do “fit” on them so very well to my eye. Cheers! Thanks mate. I just didn’t like the original metal ones – enough to pay the asking price, anyway! – so kitbashing became my only option. Excellent mate – love the panzerschreck! Thanks Alex. Though I’m pretty sure I heard about some courtroom testimony a few years ago where it was stated that all GW designs originate entirely inside that studio, so I’m not sure what you mean by panzer-anything??? Thanks Mark, but I’m *far* from that with my simple tweaks. IRO does some nonstop great stuff, and then there’s Krautscientist, who is a kitbashing god in my opinion.